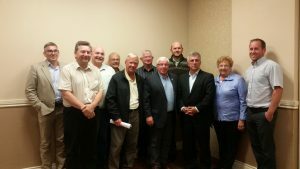 On September 20, 2018, the Honourable Richard Brown, Minister of Communities, Land and Environment met with the FPEIM Board. This annual meeting is a long standing tradition. Topics such as access to information and protection of privacy, building and development, infrastructure, and province-wide municipal incorporation were discussed.